At-speed DFT test is critical to ensure chip free of timing issue due to design, timing closure, and manufacture issues. At speed test means on ATE tester the circuit is tested at the functional clock rate. This article is a basic introduction of how this is done in DFT design. 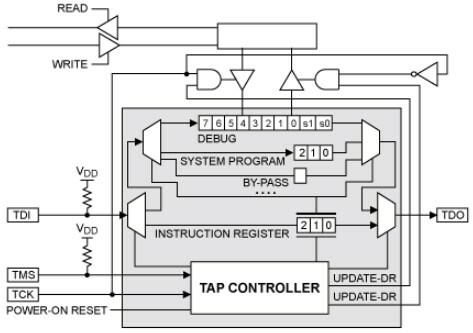 Below is a typical jtag tap controller hook up. Lbist controller is one of those DRs (data registers). Lbist controls scan chain during at speed test. The following is site premium content. Use points to gain access. You can either purchase points or contribute content and use contribution points to gain access. Ravenhill 1 year ago	Log in to reply. DougSlingerland 1 year ago	Log in to reply. Glad to realize there is both at speed shift and at speed capture.